MU. Sumi ink on antique silk. MU. Sumi ink on thick paper. MU and kōan "Joshu's Dog." Sumi ink on paper. MU. 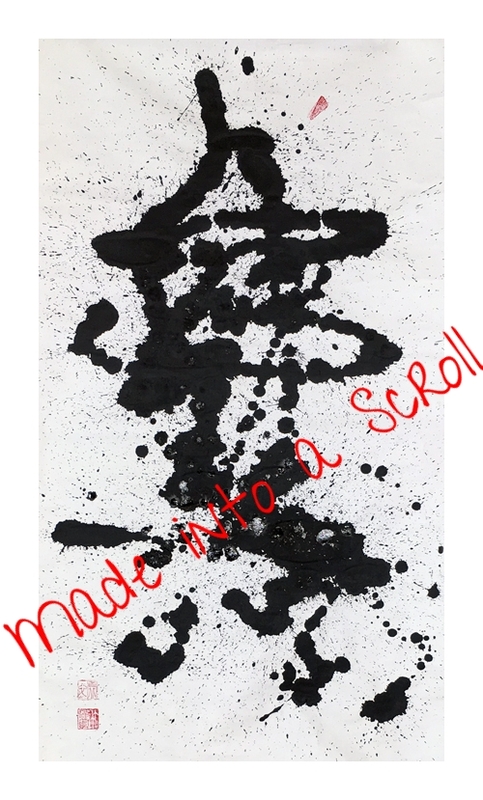 Sumi ink on silk. Disintegrating MU. sumi ink on paper. Sandy MU. Sumi ink and sand on photo paper. Tangut was the language of a kingdom that thrived in the 10th-11th centuries in North Central China. Genghis Khan obliterated the Tanguts in 1227. Two centuries earlier, a beautiful and complex writing system had been devised for the language. The spoken language is related to Tibetan and Burmese, but the written script is logographic and was likely inspired by the idea of Chinese characters. Tangut writings were discovered in excavations of the ancient city of Khara-Khoto in 1907, and translated in the middle of the 20th century mostly by Russian and Japanese scholars. Tangut can be considered a dead language. "Stone" rubbing by Liza Dalby. dog being mu being dog being mu being. Sumi ink on antique silk. Mu and U, non-be and be, white gouache on white paper. MU's best friend. Sumi ink on antique silk. Tongpanid #1. Tibetan concept of MU. MU - Nervous. Sumi ink on paper. Blue MU. Japanese ink on paper. MU. Sumi ink on Mexican bark paper. MU - Surprised. Sumi ink on paper. MU in enso. Sumi ink on thick watercolor paper. MU - Seal script. Vermilion on paper. MU -Straight. 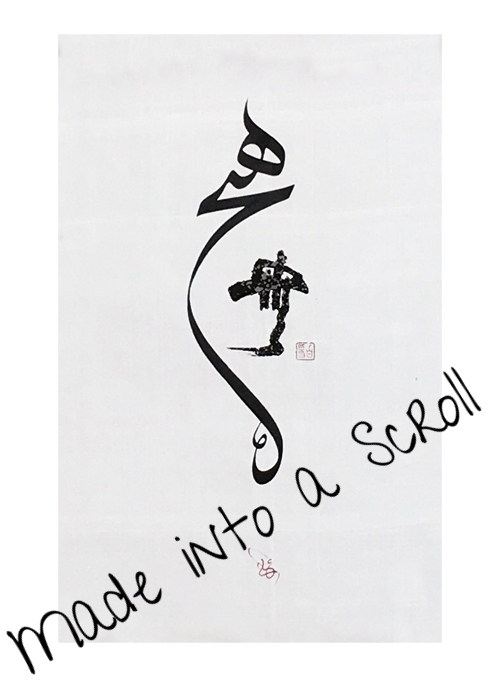 Sumi ink on silk. MU - Playful. Sumi ink on antique silk. MU - Elegant. 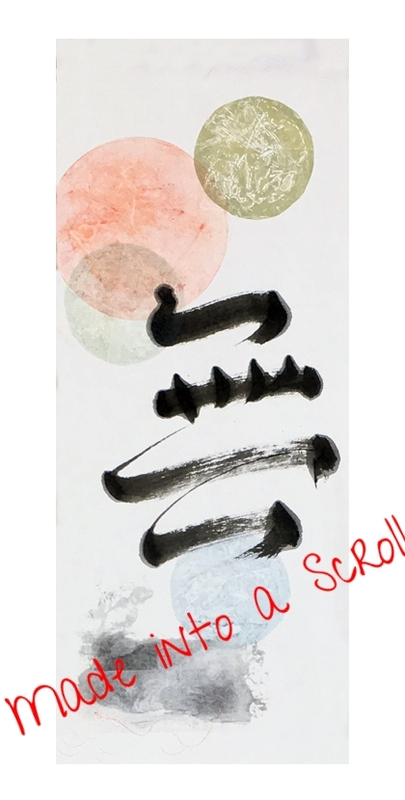 Sumi ink on silk. Rembrandt Dog #1. Monoprint. Sumi ink, solvent transfer on washi paper. MU MU. Sumi ink on silk. MUMUMUMU. Sumi ink on silk. HeechMu. Print on antique silk. Hakuin's famous Mu nestles in the crook of the Persian heech. MU - Hats Off. Sumi ink on silk. Everywhere a MU MU. Sumi ink on silk. Yuu (Mongolian Mu) Dog and Moon. Ink and color on paper. MU oracle bone script. 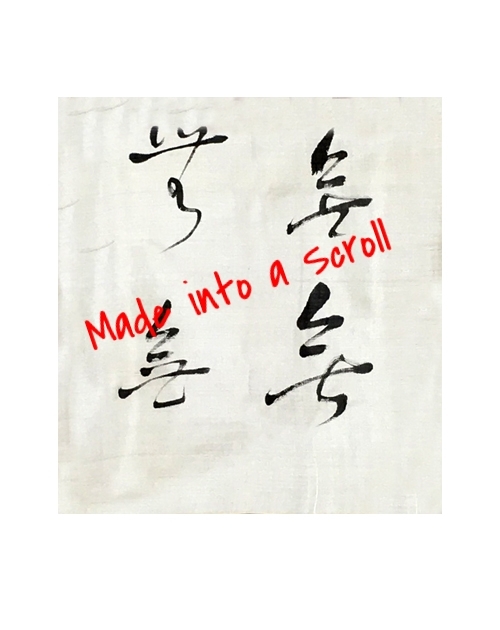 Sumi ink on silk. Artist signature and mark. MU sealscript. Sumi ink on silk. Date and artist signature. Enso MU. Sumi ink on antique clay-glaze paper. MU cage. Sumi ink on paper. Holey MU. Sumi ink on webbed paper. Wired MU. Sumi ink on paper. Mathematician Robin Hartshorne did a version of the Zen circle as a symbol of the null set. It equals the little black MU.